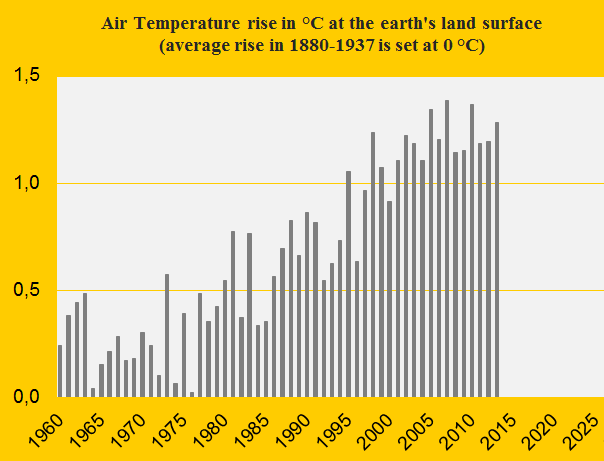 The national Climate Contributions increase along with the land Air Temperature update in ClimatePositions. Here are two examples: Namibia’s Climate Contribution (climate debt) increased from $15 per capita to $16 and Kuwait’s increased from $10,248 per capita to $10,335. See a graphic presentation of the calculation ‘here‘. Data sources on global air temperature: NOAA National Climatic Data Center (links in the menu “Calculations”).